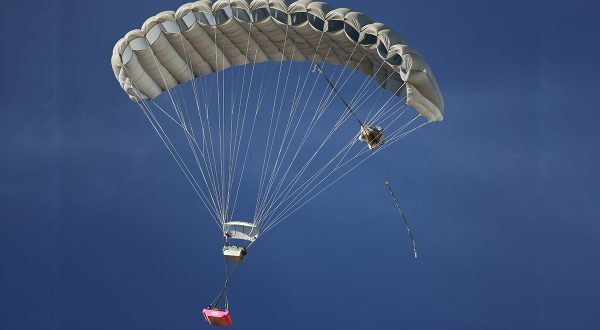 Airborne Systems North America proudly presents Microfly II® as the latest edition to their inventory of Guided Precision Aerial Delivery Systems, also known as GPADS. 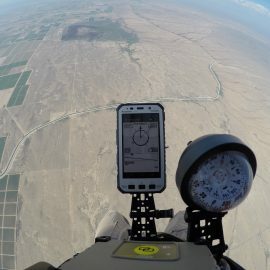 Airborne Systems North America, with locations in New Jersey, California, and a training facility in Arizona, are the brains behind the most accurate guided precision aerial delivery systems. 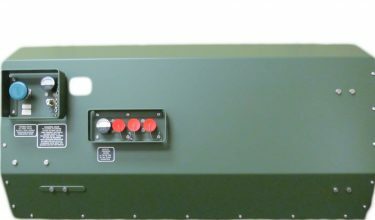 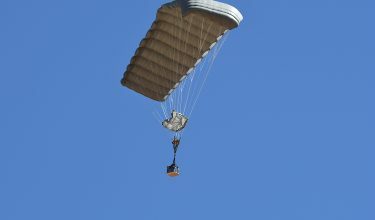 GPADS are capable of delivering food, equipment, survival kits, troop resupply equipment, and much more to a warzone to support troops or for humanitarian relief. 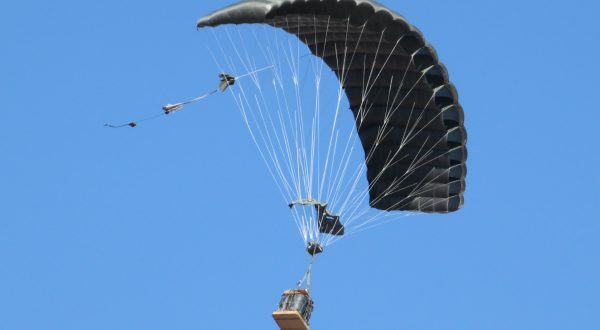 They can deliver loads ranging from 100 to 42,000lbs (45 to 19,051kg) and have glide ratios of up to 4:1, providing unmatched standoff capabilities. 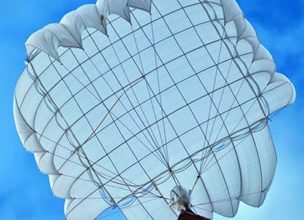 The MicroFly II® is a Guided Precision Aerial Delivery System (GPADS) that emphasizes ease of use, flexibility, and low cost. 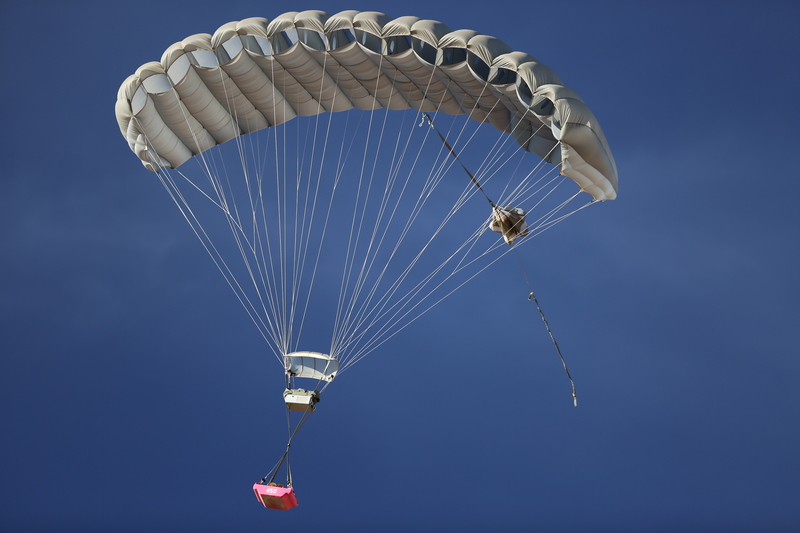 By incorporating proven technology with innovative design, Airborne Systems has created a safe and reliable cargo delivery system that meets the needs of the modern war-fighter. 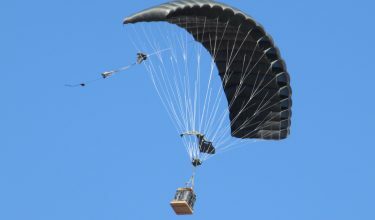 Once released from an aircraft, it has the ability to fly itself using a Ram Air parachute to a designated point on the ground after being dropped from altitudes up to 24,500 feet (7467m) Above Mean Sea Level (AMSL). 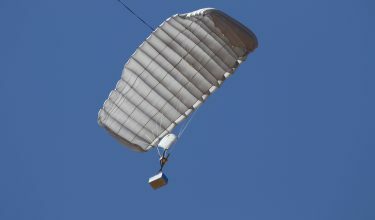 The MicroFly II® is designed to fly autonomously to its pre-programmed target area without external guidance. 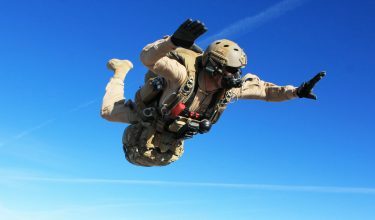 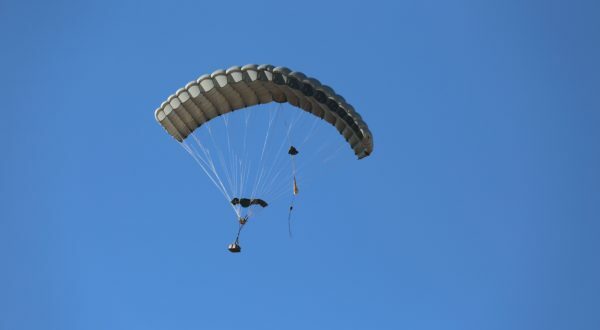 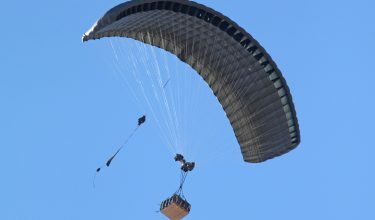 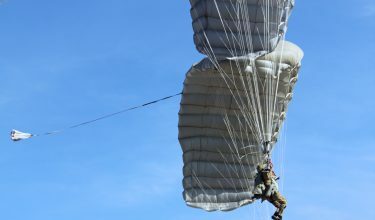 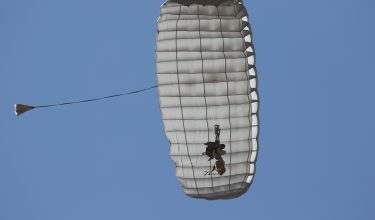 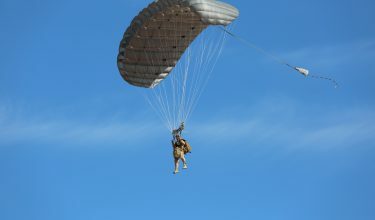 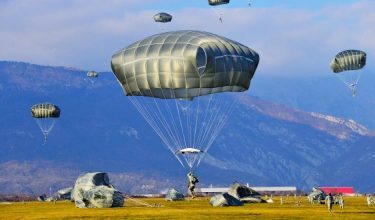 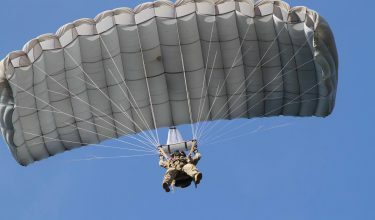 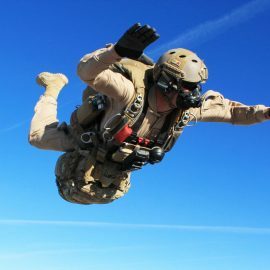 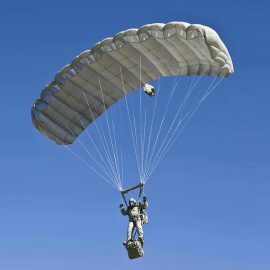 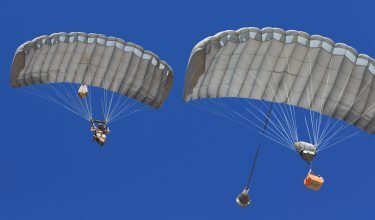 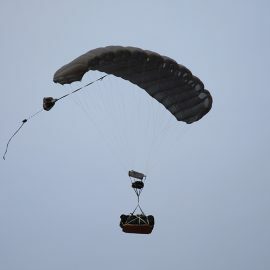 It can also be used to accompany HALO / HAHO teams during operational parachute insertions as well as being used in a more conventional role; resupplying troops on the ground. 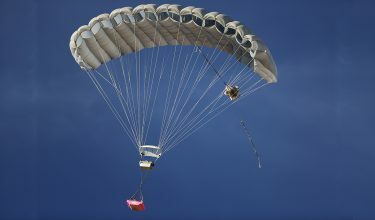 This ability to autonomously and accurately deliver supplies from high altitudes also reduces the need for vehicular traffic, reducing the logistical footprint and the number of convoys required to sustain a deployed military force. 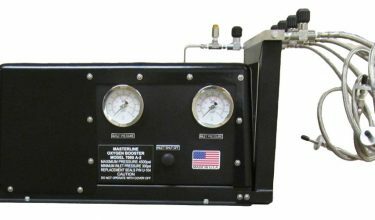 The MicroFly II® features a light system, simplified drogue falling, and a removable lithium battery with a 6 month maintenance schedule. 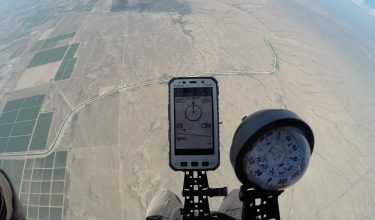 One of the most exciting and impressive new features on the MicroFly II® is the silent slider. 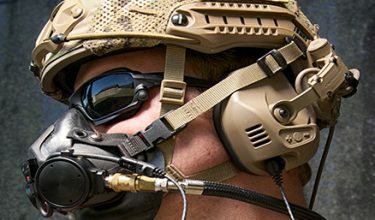 This is available on the Intruder®360 canopy, and reduces the noise of the system in flight, which is a plus for covert missions. 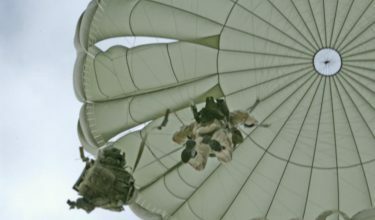 To learn more about our new product, visit the product page, or watch this video.